Owners of Apple’s new iPhone 4S smartphone helped boost application downloads by as much as 70% in its launch weekend, ensuring that app downloads hit an all-time high in October, a new report from app marketing specialists Fiksu reveals. Capturing data from 6.54 billion mobile app actions and 143 million downloads, Fiksu’s Indexes recorded a 40% increase in download volume following the launch of the iPhone 4S when compared to the same period before its release. The increase in iOS device users boosted organic app downloads (app downloads that weren’t as a result of an advertisement or promotion) in October. These rose 75% during the launch and levelled out at 54% in the weeks following. The Fiksu App Store Competitive Index (which measures average daily downloads top 200 free U.S. iPhone apps) increased 29% from 3.8 million downloads in September, to a record high of 4.91 million in October. 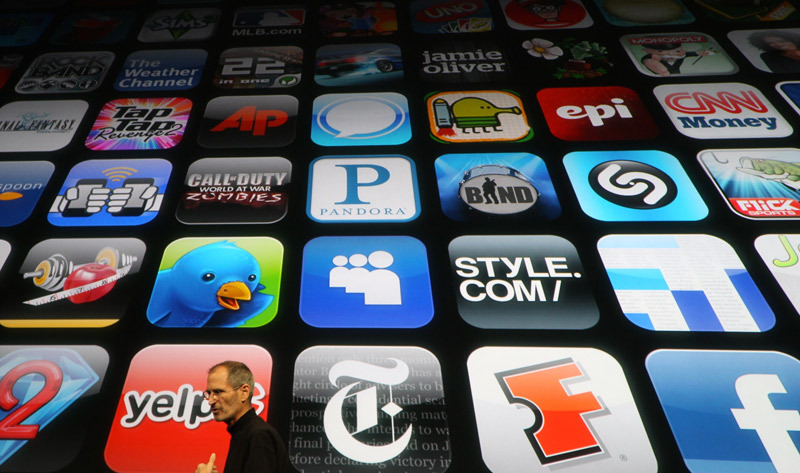 However, with many users upgrading their iPhones, many downloads would have included existing apps. With that in mind Fiksu revised its estimates to calculate a net volume of 4.5 million new app downloads. During the launch weekend of the iPhone 4S, mobile marketing costs remained high but fell in the weeks following the launch as traffic decreased. This meant that by the end of October, Fiksu’s Cost per Loyal User Index levelled out to $1.47 – a 17% drop compared to September’s record high of $1.64.